For today’s post, “modular” is the word! 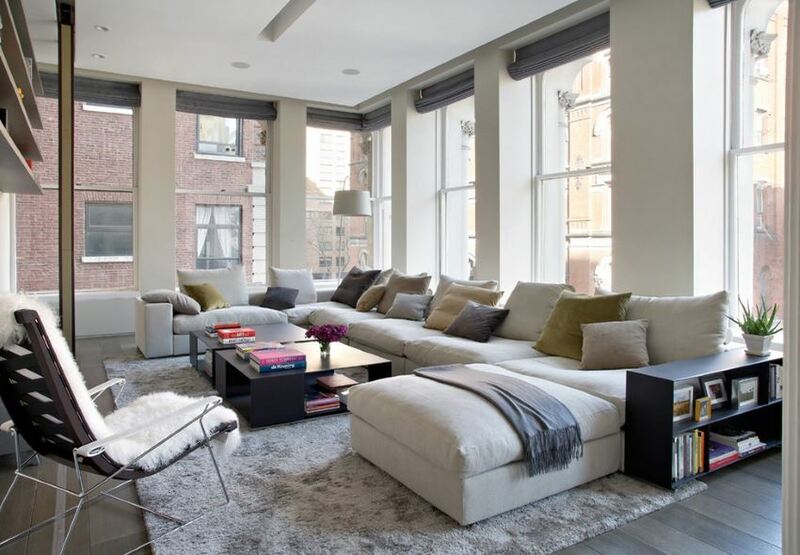 Yes, all of the rooms below feature sectional sofas. I’m old enough to remember the days when “sectional” was another word for “outdated.” But then something happened. 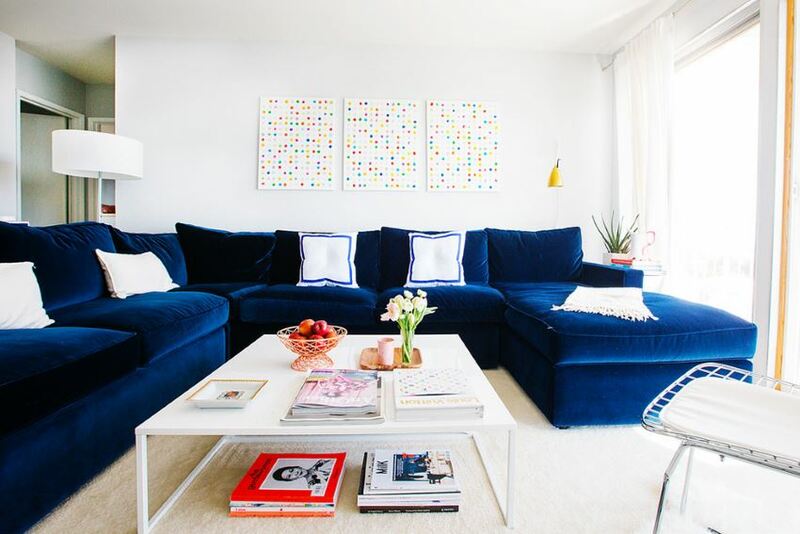 The sectional made a comeback–a big one! 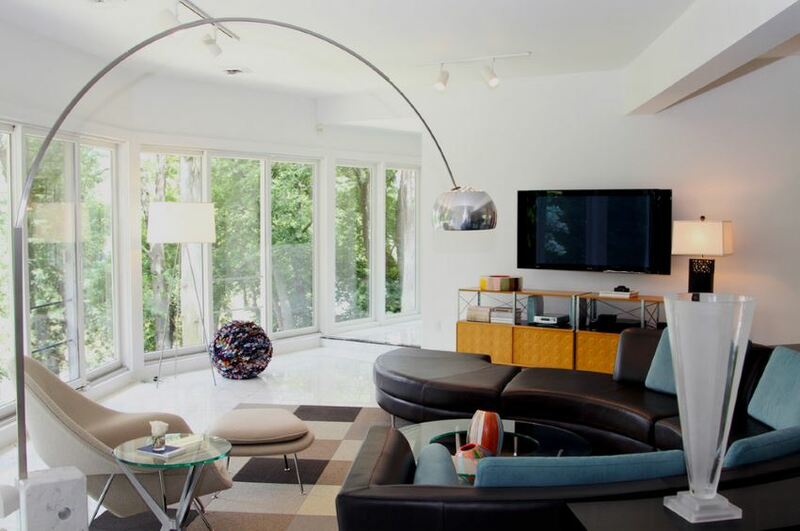 Sectional sofas can shine in any space, and the images below prove just that. Whether you’re going for an upscale look or a relaxed eclectic one, check out how the rooms below put sectional style front and center! 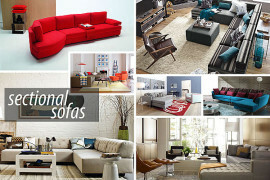 Many of today’s most popular sectionals are covered with fabric in a solid tone. 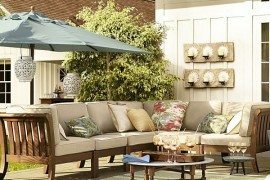 Pattern can then be added with artwork, pillows and other decorative details. 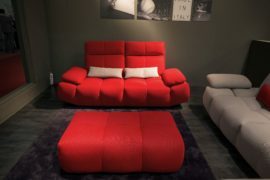 Below we see the Cielo II 2-Piece Sectional Sofa from CB2, consisting of an armless loveseat and a chaise. 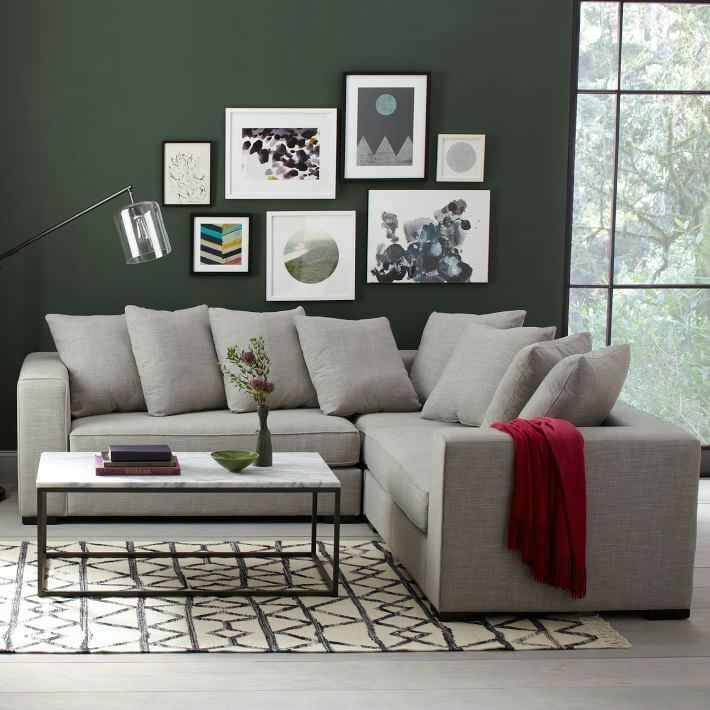 A gallery wall is the backdrop for this next modern living room featuring a sectional sofa. 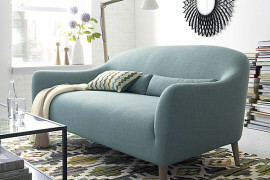 The Walton 3-Piece L-Shaped Sectional from West Elm is an inviting addition, thanks to its numerous pillows. Drape a throw over the arm for a cozy touch. 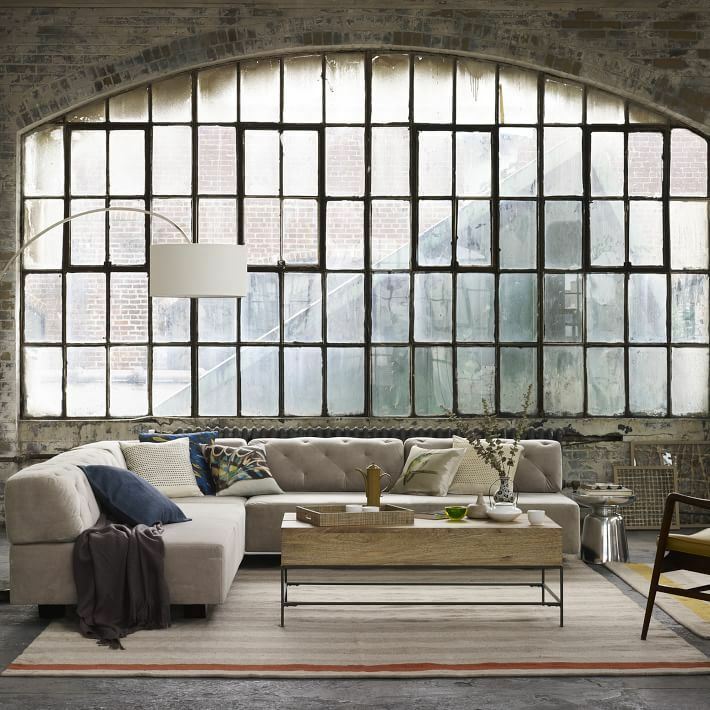 The tufted Tillary 8-Piece Sectional from West Elm is the perfect addition to the warehouse-style room below. 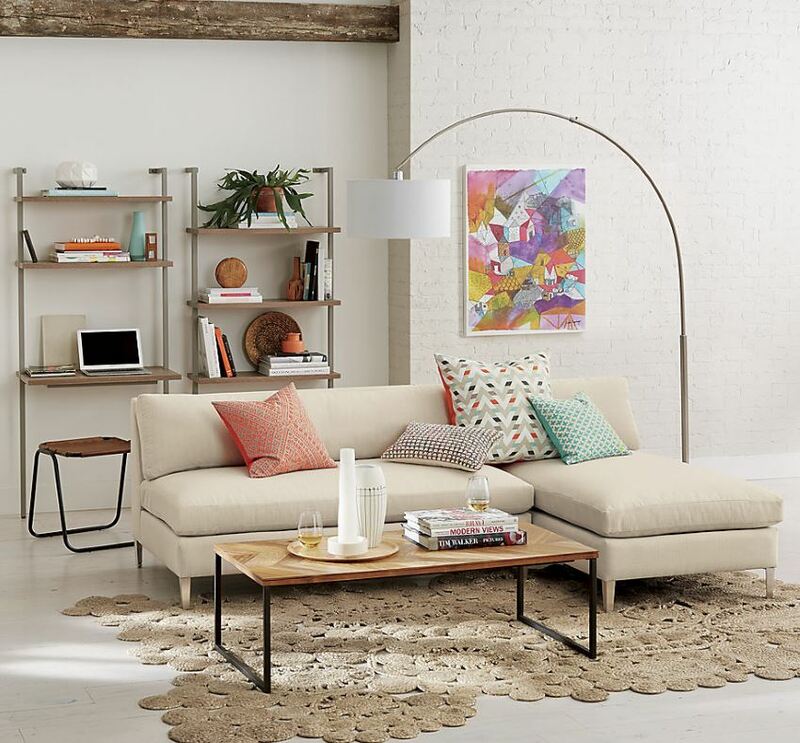 While some may have gone with an ultra industrial look in this space, a softer vibe is achieved with the help of the sectional–the tufts add a feminine, elegant touch. 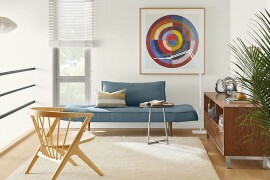 A sectional in a vibrant color can serve as the focal point of a room, as shown by CB2’s Ditto Peacock Sectional in the modern eclectic space that follows. Bring on the blue! Once again, we see the power of tufts. 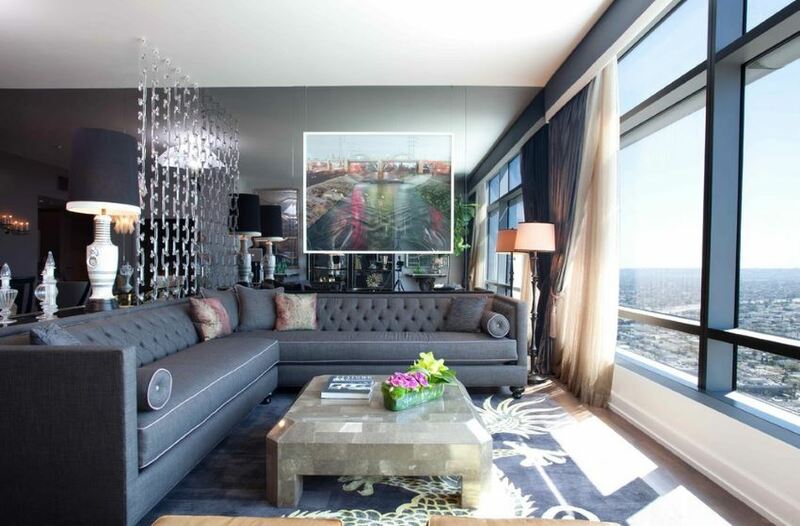 This time a tufted sectional enhances a room in downtown Los Angeles’ Ritz-Carlton Residences. 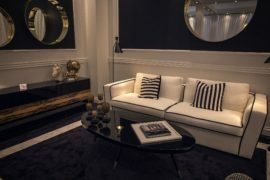 Vintage and new pieces combine to create a truly elegant space. And in case you’re curious, the room divider is crafted from Murano acrylic chain pieces. So glam! 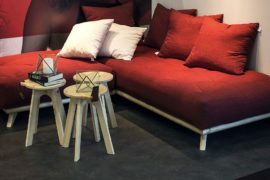 I’m so glad that sectionals are back on our design radar. 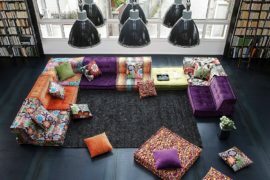 They have the power to make a grand statement in rooms of any and every style, don’t you think? !